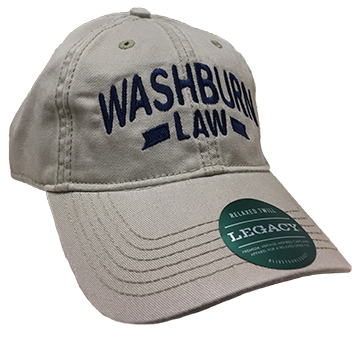 Washburn law cap features Washburn Law with stripes graphic features Legacy's relaxed twill design for a relaxed and vintage fit. Made in Philippines. Please select option for Cap - Washburn Law W/Stripe.